Citizens of India have to Link their Sim card, Bank Account, Pan card, Life Insurance Policy with Aadhaar Card. Sim Card can be linked with Aadhaar by visiting respective Service Provider and provide the Mobile Phone Number and Aadhaar Card Number and Scan their Fingerprint. 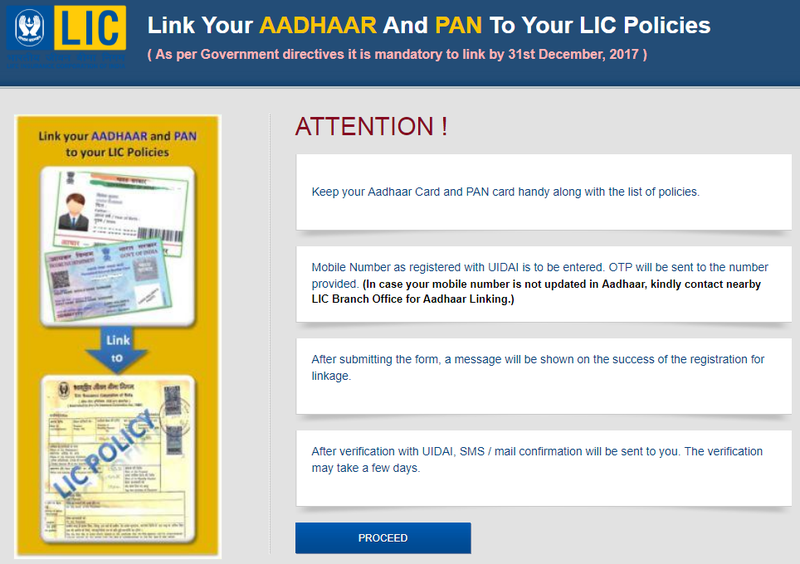 Bank Accounts can be linked with Aadhaar Card either by visiting the Bank or though Online using Bank Website. 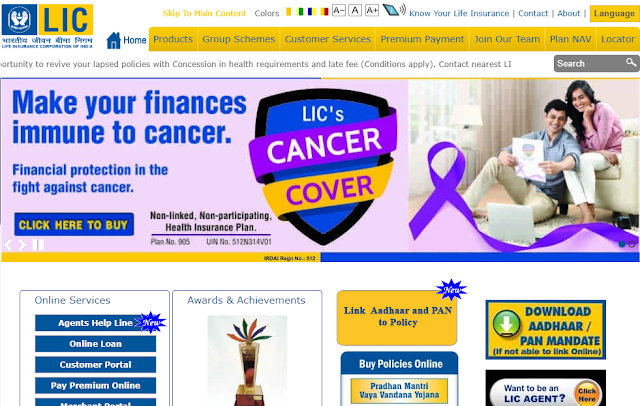 You need to Link your Life Insurance Policy with Aadhaar and this can be done either through sending SMS or through Online. Mobile Number to be entered which is provided at the time of Aadhaar Registration. OTP will be send to that Mobile Number. Enter the OTP recieved in the Mobile Phone and Submit. You will get an E-Mail and SMS once the linking / seeding is done.